Animalife Vetrofen Healthy is a supplement formulated to give everyday support for comfort and mobility in active and ageing horses. This powder aims to address the supply of dietary antioxidents for the metabolic processes required on a daily basis to repair cells of the joints, muscles and support immune system. 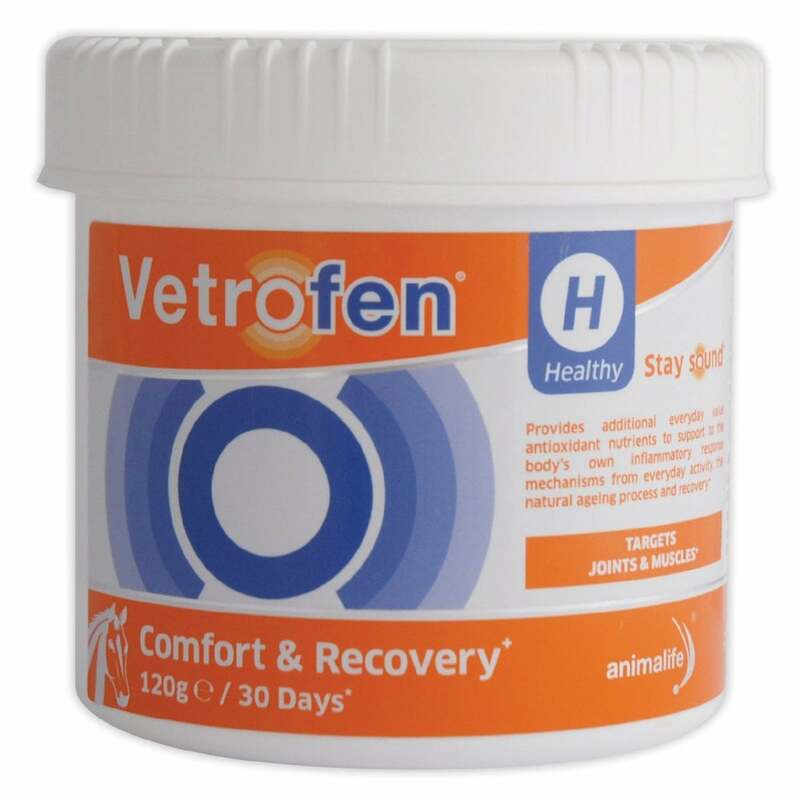 Vetrofen Healthy contains a proprietary blend of three plants: Acacia Catechu, which has been recognised in ayurveduc practitioners for its antioxident properties; Boswellia Serrata, which has been used for centuries to support healthy joints and Curcumin revered in India as an antioxident with black pepper added to aid absorption.